Getting Started Newsletter Archive Partner News Lists, Lists and More Lists – Are You Up-To-Date? Lists, Lists and More Lists – Are You Up-To-Date? 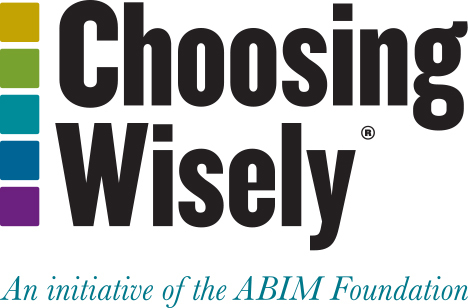 Six and a half years since its launch, the Choosing Wisely campaign numbers continue to grow. Several new lists were released this summer from societies that now have recommendations numbering in the double digits. In addition, new organizations have come aboard and released their first set of Things To Question. In May, the American Occupational Therapy Association released its first set of recommendations of services that occupational therapy practitioners should question. The list includes guidelines around the use of non-purposeful intervention activities, sensory-based interventions to individual children or youth, physical agent modalities, pulleys for a hemiplegic shoulder and cognitive-based interventions. 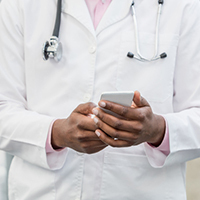 In July, the American Academy of Pediatrics (AAP) – Section on Nephrology and the American Society of Pediatric Nephrology released a joint Choosing Wisely list. This list marks AAP’s fourth specialty-specific list, having previously released recommendations in endocrinology, perinatal pediatrics and orthopedics. Also in July, the Society for the Advancement of Blood Management officially launched its participation in the campaign with its first five recommendations about appropriate transfusions, laboratory blood testing and treatment of anemia. Likewise, The American Epilepsy Society released its first “Five Things,” a list that included guidelines relating to routine testing for antiepileptic drug (AED) levels, treating females with Valproate, ordering EEGs in an initial syncope work-up, long-term treatment with AED after withdrawal seizures and brain imaging after acute seizure in established epileptics. The American Academy of Family Physicians (AAFP) released its fourth set of recommendations in August. AAFP was one of the original nine participating societies that released lists at the campaign launch on April 4, 2012. In July, as part of its annual review of its recommendations, AAFP withdrew one of its previous recommendations, which had discouraged screening adolescents for scoliosis; AAFP cited recently published evidence from the United States Preventive Services Task Force. More than 80 specialty societies have joined the campaign, developing nearly 600 recommendations regarding unnecessary tests, treatments and procedures and providing leadership through the creation of these evidence-based lists.